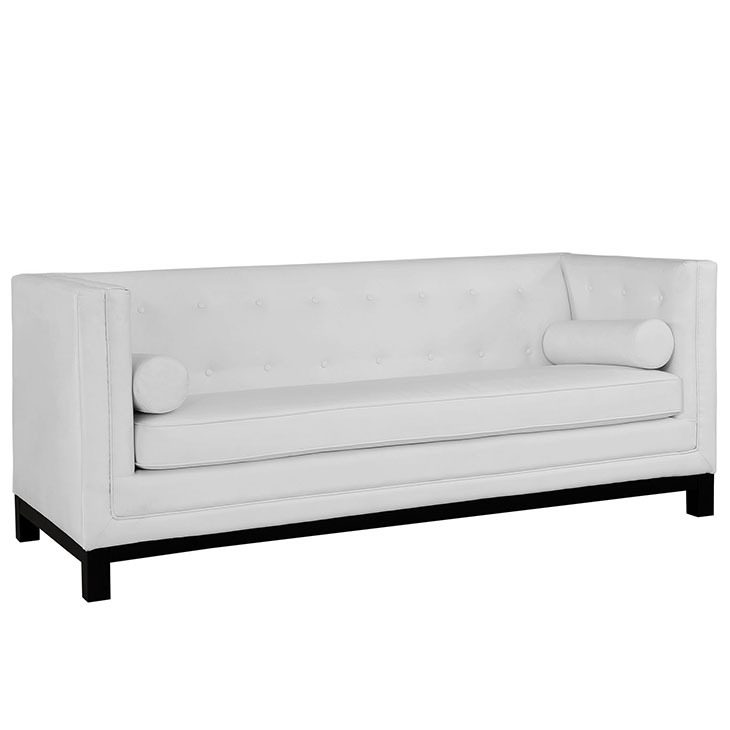 Journey toward majesty with the Imperial mid-century modern style leather sofa. Imbued with classic elegance, Imperial comes fully-featured with tufted buttons, side pillows, and luxurious fine stitch upholstery. A solid stained wood frame complements this piece of simple refinement and carefully poised grandeur.